Privates, Semi-Privates and Small Group classes. Pilates equipment sessions are offered in three formats. If you are new to Pilates Equipment we strongly suggest that you take a few privates to learn the basic principles of Pilates in order to get the most out of your practice. Pilates Mat (Mixed Level): This mixed level Pilates mat class focuses on strength, precision, and flow of movement. Various props such as flex bands, foam rollers, rings, light weights, and balls are incorporated to enhance and intensify the workout. This class is the perfect blend of deep muscle toning, stretching, balancing, and cardiovascular intervals guaranteed to pump up your heart rate and burn fat! Barre incorporates the fluidity of ballet, the flexibility of yoga, and the core strengthening of Pilates. We offer Pilates equipment sessions in a variety of formats including private, semi-private, and small group (3-5 people). We also offer group mat classes. 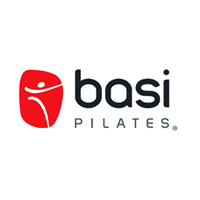 Balance Point Pilates Studio serves as the BASI Northern California Regional Training Center. Each year we offer the prestigious BASI College level Comprehensive Teacher Training and Mat courses.